MSC Cruises regrets to report that a Mexican guest onboard MSC Divina went overboard yesterday (18 June) at approximately 5pm, when the ship was sailing in Brazilian waters between Fortaleza and Recife. MSC Divina’s crew immediately raised the alarm while the Master alerted the Brazilian authorities to the need to launch the appropriate procedures and to ask for assistance while proceeding with search and rescue measures. Unfortunately, the guest remains missing, but MSC Cruises continues to offer all possible cooperation and support to the competent authorities. Guests aboard MSC Divina, which is currently under private charter, have been informed. MSC Cruises remains ready to provide every possible support and assistance to the missing guest’s family and any of the other guests who may require it. The Brazilian Navy has assumed full control of the search effort and allowed MSC Divina to continue its itinerary. 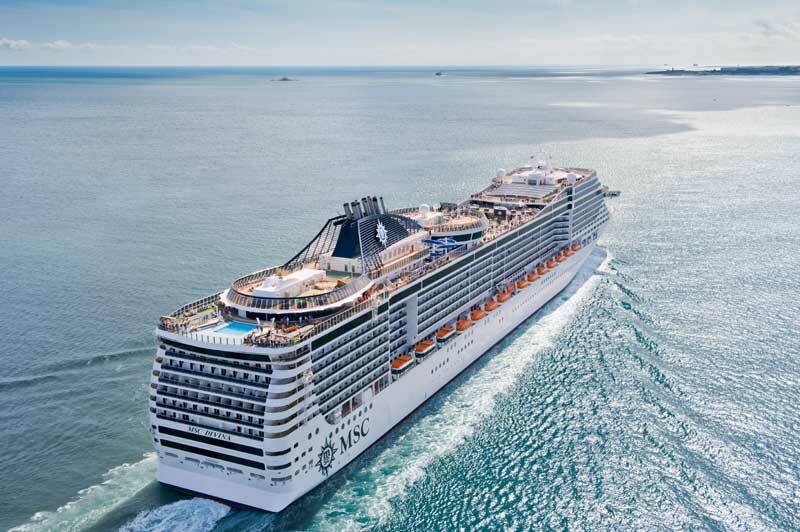 It’s being reported by Mexican and regional news outlets that a young male Mexican Passenger cruising on the MSC Divina has gone overboard yesterday evening after the ship departed Fortaleza in northern Brazil. The passenger was apparently cruising on a world cup cruise with over 3,500 Mexican world cup fans. MSC Divina is making port stops at popular world cup destinations where the team is playing. The Mexican fans had watched the Mexico vs Brazil game in Fortaleza and according to the Tribuna Digital a witness has said that the Mexican passenger was drunk at the time and that he went overboard from the 15th deck as the ship was sailing in open sea towards Recife which is the MSC Divinas next port of call. As soon as the passenger went overboard the ship’s crew immediately started a search in the water using life boats. The Brazilian Navy took over the search after letting the MSC Divina continue it’s voyage towards Racife which is where Mexico will play Croatia on June 23rd.